Blue Ridge Tours, Inc. is small enough to offer personal attention to our customers, but large enough to meet all of your transportation needs. Experienced, professional, and courteous drivers. An office staff that is dedicated to serving you in a timely, friendly, and professional manner. 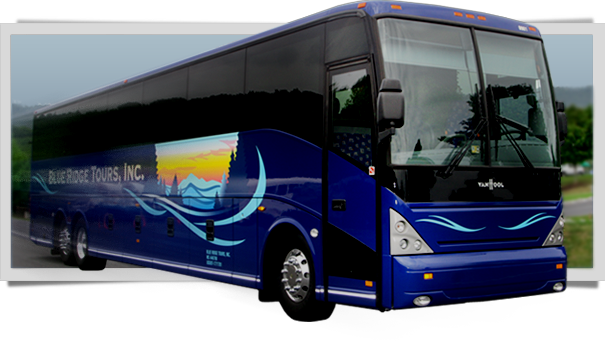 Electrical outlets on each coach to keep your electronics charged up during your trip. Blue Ridge Tours gives back to the community through multiple projects.